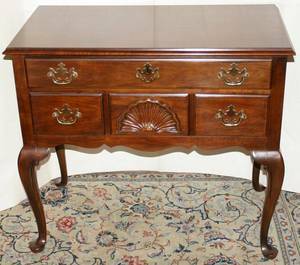 Queen Anne Style Mahogany Lowboy and a Chippendale-style Mahogany Mirror. 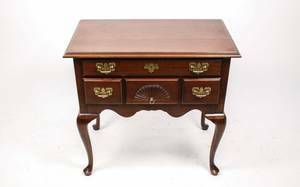 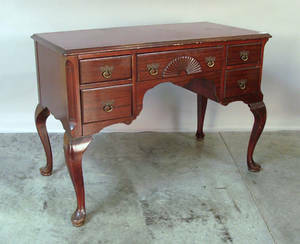 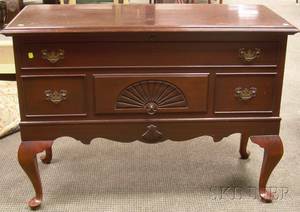 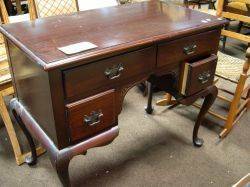 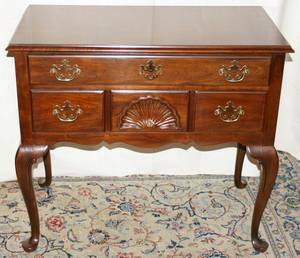 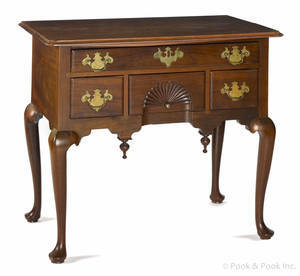 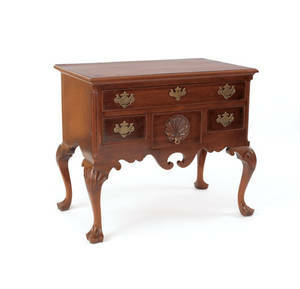 Queen Anne style mahogany lowboy by the Colonial Mfg. 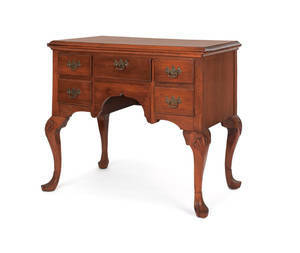 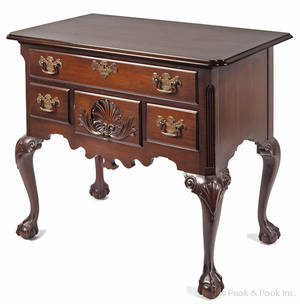 Co.
091518: DREXEL QUEEN ANNE STYLE MAHOGANY LOWBOY H 32"
061475: DREXEL QUEEN ANNE STYLE MAHOGANY LOWBOY H 32"
061476: DREXEL QUEEN ANNE STYLE MAHOGANY LOWBOY H 32"